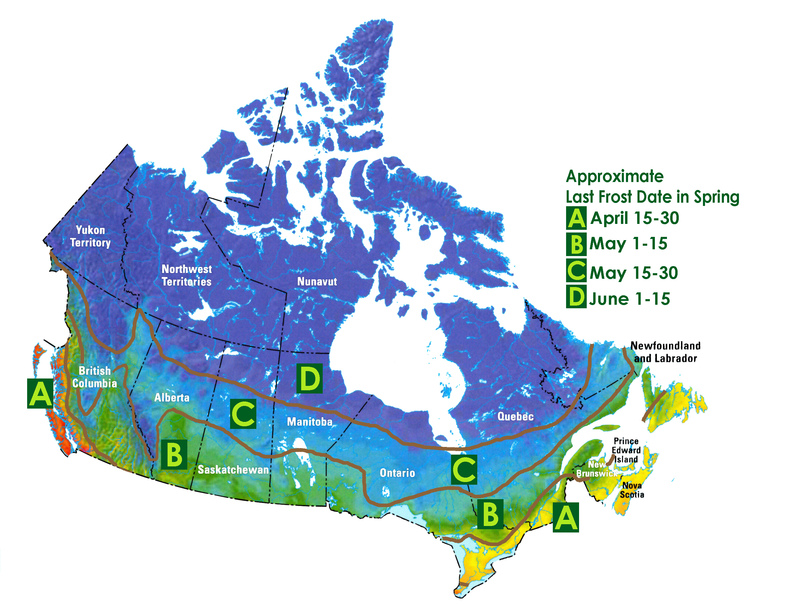 These hardy shrubs will grow and flourish in our Canadian climate. 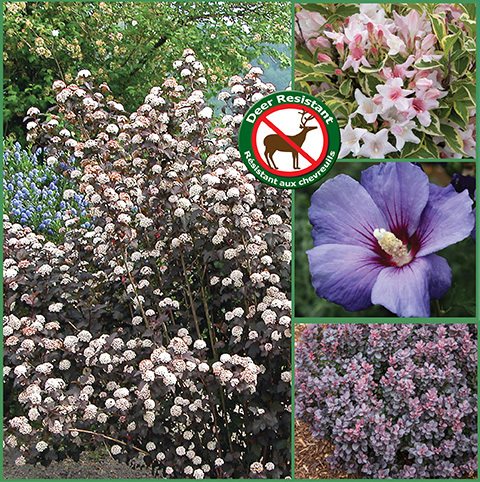 This collection includes 4 deer-resistant varieties of amazing shrubs that feature attractive foliage and/or colourful blooms. 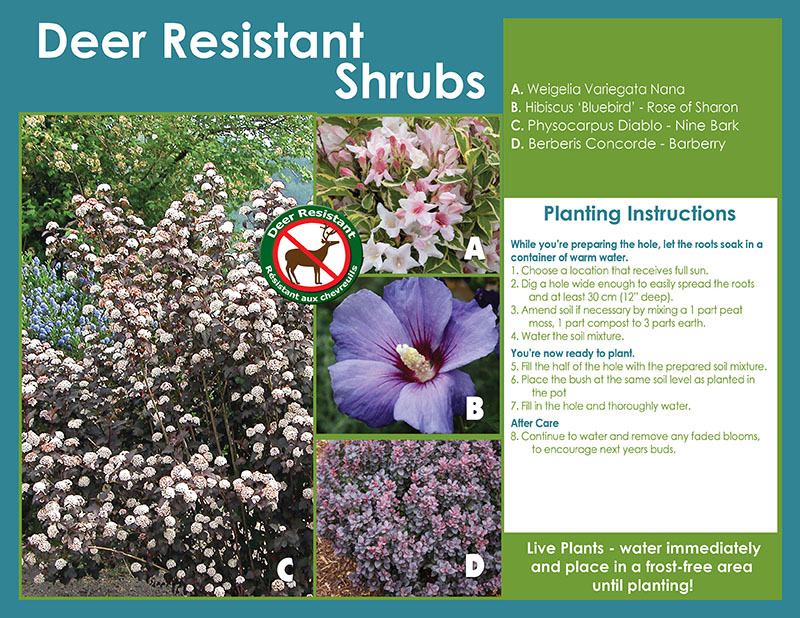 The pretty shrubs are perfect for creating a beautiful garden retreat. 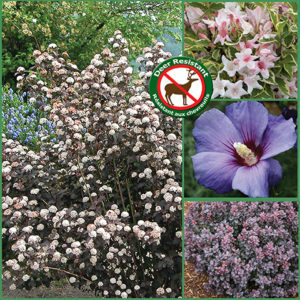 This selection of shrubs will add year-long structure with splashes of colour and best of all, the deer will avoid them!